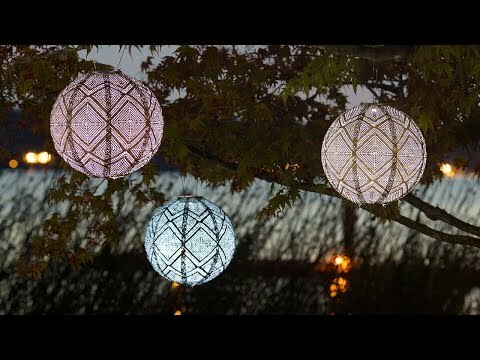 Catching the sun's rays by day, this sweet Solar Tea Lantern lights up by night to cast a warm romantic glow from within. 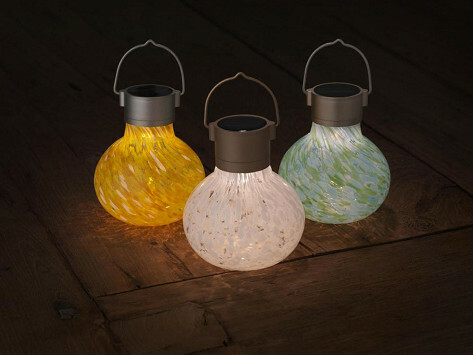 Clean and quaint, each hand-blown glass lantern is embedded with a combination of luminescence and glass. Dimensions: 4.5" x 4.5" x 5"
I gave these gifts to a family member who is enjoying them every evening. Thank you. High quality, beautiful product. Bring on more solar! I bought two and placed them in full sun. From day one, one was a winner for lasting all night, and the other, it's weaker brother. The poor performer failed completely after 6 weeks.